I recently installed a Seagate 7200rpm 750GB Momentus XT in my m11x r2 after a friend telling me about the hybrid technology. It has an 8gb SSD integrated into the 750Gb disk drive, giving you a balance of SSD like read / write performance with out sacrificing the storage space. 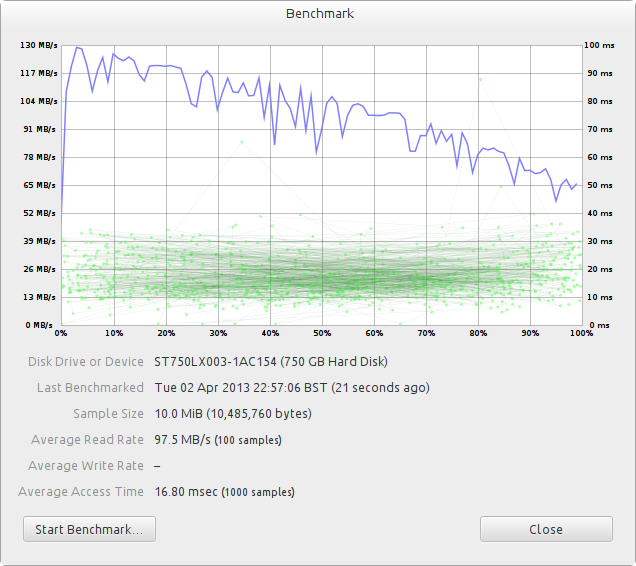 It is hard to quantify how fast this drive actually is, but both Ubuntu and windows boot and feel faster in day to day usage. The drive’s firmware claims to cache commonly used files and automatically adapt to your usage, and it does seem to learn in this manner.